Nebraska Democrats voted on December 8 during their quarterly State Central Committee meeting to conduct the state party's 2020 national delegate allocation process through a presidential primary. This is a reversion to the mode of delegate selection Cornhusker state Democrats used prior to 2008. For that cycle and the succeeding two cycles, the party held caucuses. And the primary motivation for the switch from primary to caucus ahead of 2008 was to move to an earlier date on the presidential primary calendar. That allowed for (Saturday after Super Tuesday) February caucuses as opposed to the traditional May primary. But that move never got rid of the primary. By Nebraska law, caucus or not, a party's candidates appear on the presidential primary ballot. And in both of the competitive Democratic presidential cycles of 2008 and 2016 the later primary added two turnout data points for comparison to the caucuses. Despite the later date of the non-binding primary contests, the turnout was higher than in the caucuses. That has remained a sticking point in discussions in and out of the state party in Nebraska and has been a primary incentive to move back to a primary election currently scheduled for May. Nebraska now becomes the sixth state to make a switch from a 2016 caucus to a 2020 presidential primary; joining Colorado, Idaho, Maine, Minnesota, and Utah. The Nebraska change has been added to the FHQ 2020 presidential primary calendar. Nebraska Democrats will convene this weekend to conduct their quarterly State Central Committee meeting. And on the agenda is the caucus or primary question as the group continues to consider the state party's draft delegate selection plan for 2020. Yet, the party is not newly coming into this discussion. In fact, at its 2018 state convention this past June, Democratic delegates considered the matter as well. The state convention platform committee at the time ultimately passed a resolution calling for a switch to a primary from the caucus system the party has used to select and allocate national convention delegates from the Cornhusker state for each of the last three cycles (since 2008). But news of the inner workings within the party on the caucus-to-primary question went quiet after that point. The convention resolution on the matter did not (and does not now) appear among the listed resolutions that were passed on the floor of the convention at the time. Why it disappeared from the passed resolutions was a mystery; one that was not settled later when I tried to reach out to the Nebraska Democratic Party (NDP) about it in July once I returned from vacation. Nor were they answered to any greater degree by the resolution's sponsor, Angela Thomas when FHQ reached out to her once news of the December State Central Committee meeting was reported toward the end of November. Ultimately, this really is neither here nor there, but it was odd. The party’s State Central Committee most likely won’t make a final decision until March, after the national Democratic Party issues guidance to the states, said Chairwoman Jane Kleeb. The party has seemingly moved the consideration of caucus-to-primary up a quarter from March 2019 to December 2018 in order to incorporate the decision on mode of delegate selection into the party's draft delegate selection plan to be submitted to the DNC Rules and Bylaws Committee by early May. Heading into the decisive State Central Committee meeting December 7-8, it should be noted that the resolution to eliminate the caucuses drew cheers back at the state convention when it was introduced in the platform committee and as of late November the idea of a caucus-to-primary shift was said by party Chair Kleeb to have held a three to one advantage among the party's grassroots. Take that as internal momentum to change the state Democrats' mode of delegate selection for 2020. And that parallels the external momentum to move from caucuses to primaries in Colorado, Idaho, Maine, Minnesota, and Utah that has already produced change in 2016-18. 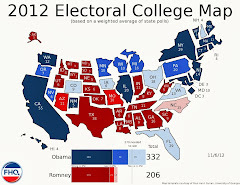 The plan to move the presidential primary was aimed at making sure conservative state Supreme Court Justice Daniel Kelly is not up for election on the same day as the presidential primary in April 2020, when Republicans fear Democratic turnout will be high. Moving the primary to March would cost taxpayers nearly $7 million and municipal clerks warned it would be hard to conduct so many elections so close together. The committee didn't approve the legislation and leaders said they doubted it would come up on the floor of the Senate or Assembly. SB 885 did not come up on the floor, and will end up a casualty of this brief legislative lame duck session. The idea of a March presidential primary likely ends there. First, Republicans in the legislature pushing the measure would face resistance from the same elections clerks in January but would also have to contend with a Democratic governor then. And even if they sought to move everything -- presidential primary and judicial election -- up to March, such a proposal would save on expenditures, but also likely continue to draw the ire of elections officials because of the quick turnaround from the February spring primary. Obviously, any proposal to save the expenditure and move everything to March would additionally fail to lower the turnout on the judicial election. It would still be tethered to the presidential primary. As described in an earlier post, this discussion of a primary move happened under unique circumstances in the Badger state, unique enough that it likely will not be repeated as the legislature convenes a new session in January. Often proposed primary shifts will come up on a recurring basis in state legislatures, but this one in Wisconsin is unlikely to follow that trend. And all is not lost: that first Tuesday in April date would have Wisconsin -- as of now anyway -- all by itself in 2020. Legislation has been introduced during the lame duck session of the Wisconsin legislature to create a separate presidential preference primary election. SB 885 would not only split the presidential primary off from the spring election -- typically tethered to judicial elections -- but would schedule the presidential contest for the second Tuesday in March. 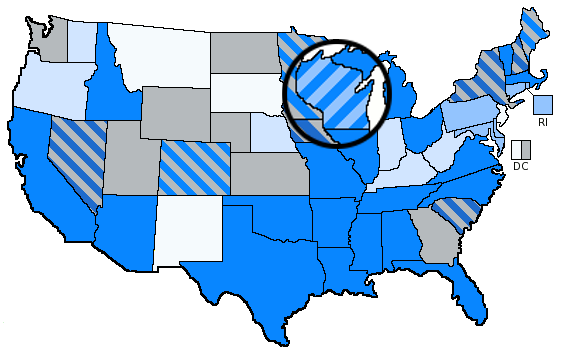 Given the 2020 calendar layout, that would mean a shift up by four weeks for the Wisconsin primary, pushing it up in line with previously scheduled contests in Michigan and Ohio. Conceivably, the new Minnesota presidential primary could end up on that date as well. Parties there can decide on a date other than the first Tuesday in March. With Minnesota and Wisconsin on board, the second Tuesday in March would look like a Great Lakes/Big Ten primary on the heels of Super Tuesday. The bipartisan panel [the Wisconsin Election Commission] voted 6-0 on a motion to inform lawmakers of the difficulties of moving the election, which could cost as much as $6.8 million and which a top Republican leader has said is aimed at helping re-elect conservative state Supreme Court Justice Daniel Kelly. Find much more about the contours of the potential Wisconsin move here. This legislation will also be added to the 2020 presidential primary calendar here. In the wake of the 2018 midterm elections, Republicans in Wisconsin are looking at a change to the scheduling of the 2020 presidential primary in the Badger state. And in the scope of all post-reform shifts in the dates of presidential primary elections across the country, it is not a typical proposed move. To be more precise, the proposed move forward -- from an April position on the calendar to March -- is entirely within the norm. State actors began to consider pushing up primary dates for 1972 almost before the ink was dry on the McGovern-Fraser reforms and they were adopted. That is not what is atypical about the potential move in Wisconsin. Instead, it is the how, the why, and the when of the proposed shift in Wisconsin that deviates from how most states have gone about these changes in the past. First, the timing of this is unusual. Although it is not unheard of, it has historically been the case that most of the movement on the presidential primary calendar has taken place in the year before the presidential election. There are exceptions of course. Missouri legislators pushing the 2004 presidential primary in the Show-Me state up from March to February in 2002 comes to mind. But while there are exceptions, the year prior to a presidential has been the window in which states have tended to make these scheduling decisions. The reasoning is sound enough: That is when state actors the most up-to-date information (who is running, which parties have contested races, what other states are doing, etc.). It is also a time that occurs at the confluence of new legislatures being sworn in following midterms and when the urgency for a change of primary dates is at its highest (or at least when the timing is most on the radars of state legislators). But by that mark, Wisconsin legislators are only slightly jumping the gun, right? After all, Texas legislators in 2010 prefiled legislation to move the primary in Lone Star state up for the 2012 cycle. However, Texas legislators introduced that legislation in anticipation of the start to the 2011-12 session. That is not what is happening in Wisconsin. Rather, legislators in the Badger state are considering these changes as part of a lame duck session as the bookend to unified Republican control of state government. That draws this back to the how and why of the proposal. Again, it is not atypical for states to move up the dates of their presidential primaries in post-reform era. In fact, Wisconsin has done this in the past: moving the spring election, including the presidential primary and the general election for judicial and other offices, from April to March for the 1996 cycle.1 And then for the 2004 cycle, legislators there bumped the presidential primary from the spring election in April to the spring primary in February. But in both of those cases the Wisconsin presidential primary move was either tethered to the move of a set of elections -- the whole spring election was moved -- or toggled from one pre-existing election (the April spring election) to another (the February spring primary). The distinction is subtle, perhaps, but meaningful. Those moves meant the budgetary requirements were close to neutral. Neither added to the budgetary bottom line in Wisconsin. Contrast that with the proposed shift for the 2020 cycle. The idea of the hypothetical bill -- and none has been introduced to this point -- would be to create an all-new and separate presidential primary to be scheduled in March 2020, between the February spring primary and the April spring election. That new election would cost the state at least $7 million (and mean a third election in consecutive months for election administrators). But why not shift into that February position as legislators in Wisconsin did during the 2004 cycle? That is not a viable option to legislators in 2020. Whereas February contests (outside of Iowa and New Hampshire) were allowed by national party rules during 2004, they are not in 2020. Nor were they in either 2012 or 2016 when states faced penalties to their national convention delegations for timing violations. This is why the 2015 bill to once again move the Wisconsin primary from April to February went nowhere. It would have put the Wisconsin delegations to both parties' national conventions at risk of penalty. Left with no realistic alternative among the elections already on the calendar (the costs of which are already accounted for), Wisconsin Republicans are focusing on separate March option. That option, if not the price tag, are additionally enticing to a party set to lose unified control of state government when Democrat Tony Evers is sworn in as governor because it would hypothetically separate a high-profile, high turnout presidential primary from the spring election for judicial offices. That would put the spring election at the close of a February-March-April election-a-thon (elect-a-thon?) in Wisconsin. That is not only difficult for election administrators and places a significant burden on voters as well. Turning out for three elections in three months runs the risk of driving up voter fatigue and driving down turnout. The latter is seen as potentially advantageous to Republicans in the state and those behind this proposed primary move being floated. And that makes the why of this unusual too. It counters the exact kind of maneuvering that FHQ mentioned just recently: that idle Republican legislators facing an at-this-point noncompetitive presidential renomination race would consider moving primaries back rather than forward. That, however, is more nationally-focused maneuvering. The proposed Wisconsin move is more locall-minded. Procedurally, it is aimed not at the national implications in either the Democratic or Republican presidential nomination races, but at a methodical severing of one high-profile election (presidential primary) from another election (the judicial election set to occur during the April spring election). To the extent the scheduling of presidential primaries is localized like that, it almost always focuses on the costs (see the 2012 cycle in particular). It is rarer to see something as politically raw in its calculations as the proposal in Wisconsin. Although one could look on it as a logical, albeit localized, extension of a slippery slope one could trace to national Democratic maneuvering in the lead up to 2012. Look, this is not one of those "on both sides" sorts of things, but as the 2020 cycle heads into 2019, these are the sorts of process tales that need to be told beyond the regular rhythms of primary movement in the post-reform era. 1 That move for 1996 was part of an effort to create a Great Lakes regional primary that included Illinois, Michigan, and Ohio. Yes, this is evidence of the Republican National Committee chipping away at a potential high-profile 2020 challenger to the sitting Republican president in a press release. That is not exactly uncommon. However, that email left me wondering about the extent to which either the RNC and/or the broader Republican Party would/will attempt to intervene in the 2020 Democratic presidential nomination and how overt those efforts might be. After all, we seemingly are a long way from back channel comments attributed former President Bush about some of the candidates involved in the 2008 cycle. But that was more commentary than outright attempt to intervene. And Republicans had their own active nomination race that cycle anyway. Yet, typically, parties will keep the other party's process at arms length. Sure, press releases and mass emails are always going to be a part of this exchange in the open market of the battle between parties. But as is our wont here at FHQ, we tend to put these things in the context of the mechanics of presidential nominations. And that is what I turned to upon reading Trudo's tweet. Often we think of partisan actors in elective office behaving in a manner to best advantage their party's interests (if not the party). Think in particular about the lengths to which actors on the state legislative level have sought to position their presidential primaries in calendar positions over the years to have some impact on the presidential nomination process in their own party. Southern Democratic leaders, for example, famously pined for a process that would yield a southern moderate-to-conservative nominee throughout the two cycles in the 1970s and into the 1980s. The idea was that that type of nominee would stand a better chance at winning a general election. And the stars aligned in 1988, at least procedurally. Fourteen southern states -- headed by Democratic-controlled state governments -- shifted to and coalesced on the second Tuesday in March; just on the heels of the Iowa caucuses and New Hampshire primary. Sometimes, however, the best laid plans go awry. And that was the case for southern Democrats in the 1988 cycle. Try as they might, the plan did not work. Rather than speaking with one regional voice, the results across the South were split on the Democratic side. 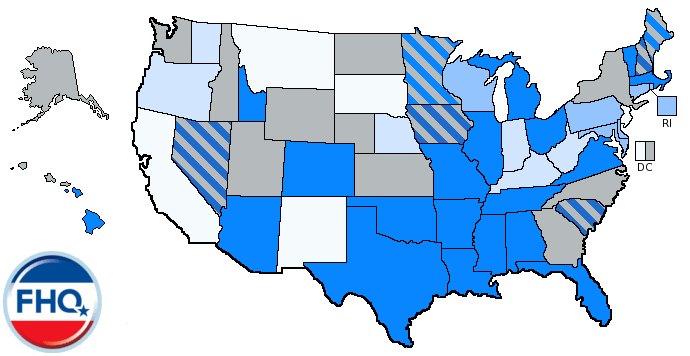 Dukakis won the big states (Florida and Texas), Jackson the Deep South, and Gore the peripheral South. The plan backfired. But what can be gleaned from that is how state actors have typically approached the calendar scheduling part of this process: To the extent they sough to have influence, it was either to give voters a larger voice in the process (by moving earlier) or to influence who the nominee was in the party of legislators making the decisions. In other words, the impact was to be an intra-party positive for some candidate (favorite son) or some faction within the broader party coalition. Yet, this logic was turned on its head in the 2012 cycle. No longer was the motivation for states to move forward on the calendar to have some positive impact. Instead, the negative incentive in the form of (flawed) national party penalties was to push states back in the process in an effort to create a later start to primary season, one not bumping up against the New Year's festivities. States retained the ability to cluster on the earliest -- although theoretically later compared to 2008 -- date, but all of those February 2008 states shifted in a seemingly partisan manner. Those with Republican-controlled state governments tended to move their presidential primaries back less than those in Democratic-controlled states. And there was at least some (anecdotal) evidence that the Democratic side of the equation was a concerted effort; to shift more liberal states later in the process to draw out and stir up a hypothetical race that foresaw a Mitt Romney nomination. 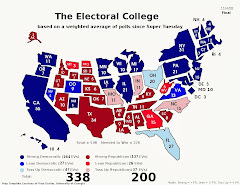 Now, the logic underlying that effort can certainly be questioned -- liberal states in the aggregate do not necessarily have moderate-to-liberal Republican primary electorates -- but the intervention is there. And that is where at least some of the focus should be heading into 2019: how will states shift around on the 2020 calendar? Much of the spotlight has been on the impact the re-positioning of the California presidential primary will have on the Democratic nomination process. That is not wrong. It is a noteworthy shift. But it leans on a logic rooted in the past: partisan actors (Democrats in California) making positive, partisan decisions (to move the primary in the Golden state up). How much can we expect Republican actors to act? Will Republican-controlled states sit idly by and maintain early calendar positions? Or will Republican states, say those involved in the SEC primary from 2016, proactively move to another position so as to have some impact on the Democratic nomination process? Those southern states moving back would mean the shift of an important bloc in the Democratic primary electorate: African Americans. There are no clear answers to these questions at this point, but 2019 will begin to offer them as state legislatures begin to convene for their 2019 sessions and begin to weigh primary calendar moves. FHQ got a sneak peek of Jonathan Bernstein's Friday column on Thursday when we had a chance to chat after my APSA roundtable on the 2020 presidential nomination process. At the time, I agreed with him. Honestly, thoughts of the straw poll that wasn't in Iowa in 2016 had long ago been washed over and displaced with the logjam of events that happened during and since the 2016 cycle. So, sure, perhaps no straw poll meant one fewer winnowing opportunity; one coordination event lost. But the more I thought about it -- and I had time when I was stuck on the T during an outage on the way home that evening -- the more I thought, well, surely there was some event that filled the void that the Ames Straw Poll absence had left behind. Although they were down in number in 2016 -- just like primary debates -- from the 2012 cycle, there were other straw polls that were conducted during the year leading up the first votes being cast in the caucuses in Iowa. Initially, FHQ thought of the fall straw poll annually conducted at the Value Voters Summit. That is an event and a straw poll that receives some attention, falls in roughly the same window of time in which the Iowa straw poll occurs, and even could be said to deal with a similar socially conservative constituency. The same general trend holds for the other events that peppered the calendar throughout 2015, whether it was the straw poll earlier in the year at CPAC or the one at the Southern Republican Leadership Conference. Those events could have been stand-ins for the straw poll, but were not. In fact, in the cases of CPAC and the SRLC, those events preceded the mid-June cancelation of the Iowa straw poll in 2015. And this speaks to something Bernstein raised in his post; what he called the stab(ility) of the rules. FHQ has often evoked the same concept but under a different banner: the regular rhythms of the presidential nomination process. I agree with Bernstein that the silliness factor involved in the Iowa straw poll was quite high. And while that is true, it also served valuable functions in both coordination and winnowing. Yes, Iowa Republicans ended the practice for the 2016 cycle and that was as much a function of pressure from the national party (because of the Hawkeye state's perceived two bites at the apple), but also because a number of the potential candidates signaled they were not going to participate. While that is noteworthy, the why the straw poll ended is less important than why there was nothing waiting in the wings to fill the void. After all the RNC did sanction a primary debate -- the first of the cycle -- in the same August time span in which debates had been held in Iowa roughly in conjunction with the straw poll. But that Cleveland debate was a solo event with no attendant straw poll. Count that as a missed opportunity perhaps. Another miss could be found in the collective wisdom of the aggregated straw poll results for the 2016 cycle. Most pointed in the same directions, often elevating either Ted Cruz or Ben Carson. And just as often Scott Walker finished third. There were, perhaps, opportunities for coordination and to force some winnowing there, but there was no effort to emphasize those events or the candidates who did well (either positively or negatively). And that was consistent with a cycle that saw some active maneuvering from the national party in the area of the nomination rules (2013-14), but was hands off other than sanctioning debates when 2015 rolled around. That is not to suggest the party and the variety of actors within the broader party coalition were silent when it came to Trump specifically. Rather, it demonstrates a break in the regular rhythms of the process and that there was no active counter to those breaks from a coordination standpoint. One could say that there were few profiles in courage among Republicans during the 2016 cycle. But just as easily, and likely more accurately, one could also say Republican party actors were trying to maintain a delicate balance between what elites wanted out of the process (winning the White House) and what was valued by a vocal faction of the base of primary voters (ABE -- anything but the establishment). Coordinating in the face of those tensions is difficult at best, and that difficulty can give rise to unexpected results; unintended consequences even. 1 The picture looks a bit better when one changes the search terms from "Value Voters Summit straw poll" to simply "Value Voters Summit", but the spikes pale in comparison to the sharp upticks around the Ames straw polls in both 2007 and 2011. The jump was actually smaller in 2015 when there was no straw poll in Iowa than it was in either 2007 or 2011 when there was. “We are proud to fully support the Rules and Bylaws Committee’s proposals for substantially adopting the Unity Reform Commission’s recommendations. Following the 2016 Democratic National Convention, the URC was established by party members with a mandate to review our party’s presidential nominating process and make meaningful reforms to strengthen our party and expand its reach. After several meetings, we proposed our recommendations for making our party more accessible, transparent, and inclusive. Since delivering our recommendations to the DNC last December, DNC Chair Tom Perez and the members of the Rules and Bylaws Committee have worked diligently to develop the new processes through which we will select our presidential nominees in future election cycles. “These new reforms will increase participation, empower our candidates to be more competitive across the country, bring new and unaffiliated voters into the party, broaden our base at the grassroots level, expand the use of primaries, and make caucuses more accessible to people like shift workers and overseas military personnel. Notably,​ in a reform that we fully support, the new rules will reduce the influence, whether real or perceived, of unpledged delegates. FHQ will not call the aforementioned conference call a formality, but the pace with which the URC reviewed the work of the Rules and Bylaws Committee -- reconciling it with the URC recommendations from December -- made it appear as if it was just that. And it was not just the pace. There were few times during the conference call in which objections were made. URC member, Jim Zogby, raised some concerns about a couple of subsections to the party reform section of the URC report. And vice chair, Larry Cohen, made a passing reference to the fact that the Rules and Bylaws Committee scaled back the language on how forcefully the national party would push states/state parties to change registration rules, for example. But that was the extent of the dissension. Zogby's issues will see a review by the Rules and Bylaws Committee either at its pre-DNC meeting gathering or during the winter meeting in early 2019. On the other hand, Cohen's point was more a comment on preference, but one that implied how limited the national parties are in exercising enforcement when change requires movement by state governments; state governments in some cases of which are controlled by the Republican Party. With little dissension, then, the URC signed off on the rules reform package the Rules and Bylaws Committee has devised, clearing its path for consideration before the full DNC in August. That there has now been near unanimity on these changes at the URC stage in 2017, the RBC stage in 2018, and the URC review stage sends a clear signal to the members of the DNC ahead of the party's vote next month to adopt the changes to the delegate selection rules and convention call for 2020. Last week the DNC Rules and Bylaws Committee (RBC) once again reconvened in Washington, DC to finalize its proposed package of recommended changes to the delegate selection rules, call for the convention, and bylaws for the 2020 cycle. Despite some of the headlines trumpeting what a momentous occasion it was, the meeting was, in reality, another incremental step in the process of finalizing the amendment proposals. It was a meeting intended to polish one final time the changes the panel would send to the full DNC for consideration in August. Now, that is not to minimize the work of the RBC over the last six months. Indeed, from a macro perspective the changes the members of the Democratic National Committee will vote on at its Chicago meeting next month represent some fairly significant potential changes to the Democratic presidential nomination process. But the RBC arrived at those decisions in fits and starts over a series of meetings during the first half of 2018. In other words, the heavy lifting had already been done. Take, for example, the oft-discussed Third Way Plus proposal to reduce the role of superdelegates in the nomination process. Yes, the RBC voted on the exact language of those changes at this final July 11 meeting (27 votes for , 2 abstentions), but the group had previously passed off on the framework by a similar vote (27 for, 1 against, and 1 abstention) during a June 27 conference call meeting. And that is the way it most often goes: changes both monumental and incremental can get lost among all of the rules tinkering that occurs at periodic but regular meetings of the Rules and Bylaws Committee. While that superdelegate/automatic delegate change and the remainder of the amendments package will go before the full DNC in August, the convention-created committee where many of the proposed changes found their inspiration -- the Unity Reform Commission (URC) -- has the ability to review the package and reconcile it with their own work from 2017. A thumbs up from the URC means the DNC will likely have an up or down vote -- pending any amendments from DNC members -- on the package of changes. Any dissension in the URC review process likely signals amendments to come from the URC itself. Their threshold is whether the RBC in the URC's judgment has "substantially adopted" the URC recommendations. If, in the committee's judgment, the RBC has failed to meet that subjective threshold in the areas of primaries, caucuses, unpledged delegates, and party reform, then the URC can put before the full DNC next month proposals that will. It should also be noted that the DNC parliamentarian urged the RBC during its final July 11 meeting to adopt well ahead of the DNC meeting a clear protocol for amendments to be introduced at that meeting. Objection to a proposed change, as is the case with the platform amendment process at the national convention, would not be sufficient to derail a change. Rather, an objection plus an already devised and drafted alternative must be provided. The URC, then, can object, but it will have to work out an alternative proposal for the DNC to consider. And that proposal would have to include the exact language of the change. [This was an issue with the URC recommendations. The RBC spent the first few meetings this year trying to transition the proposals to language that could be inserted in the rules, convention call, and bylaws.] That would add to the items on the URC plate in its review meeting; items that could potentially take up time as the clock ticks down toward the DNC meeting. Procedure aside, at what is the URC looking from the RBC and can it be reconciled with the recommendations the group settled on throughout 2017? On superdelegates/automatic delegates, the RBC, it could be argued, went beyond the recommendations of the URC. Rather than fashioning a plan to leave a third of the superdelegates in place and bind the remaining two-thirds of the would-be automatic delegates based on statewide primary or caucus results, the RBC remedy for curbing the influence of superdelegates was to remove them from the equation on the first ballot roll call vote at the national convention. All current unpledged delegates will become automatic delegates. On the first ballot of the presidential roll call, only pledged delegates will be permitted to vote unless a presidential candidate has secured enough pledged delegates to receive the nomination under any circumstances. At that point, automatic delegates should be permitted to vote. This determination shall be made by the DNC secretary upon certification of pledged delegates at the conclusion of the primary and caucus process. The threshold for a presidential candidate to secure the nomination is a majority (50% + 1) of all eligible delegate votes. In the event that the nominating contest moves beyond the first ballot, all automatic delegates would be able to cast a vote for the candidate of their choice on the second ballot and all subsequent ballots until a nominee is chosen. Automatic delegates would retain their ability to vote according to their own preferences on all other convention matters including the credentials, convention rules, platform, and the vice presidential nomination. This framework was adopted as described in the first section above. The intent and the eventual language set up the conditions under which the now-automatic delegates can or cannot participate in the first round of voting. If a candidate wins 50 percent of the pledged delegates plus one during or by the end of primary season, then the superdelegates are barred from the first ballot. If a candidate wins 50 percent of all of the delegates (including superdelegates) plus one, then the superdelegate opt-in is triggered and that faction of delegates can participate in the first (and only) round of voting. If no candidate wins a majority of either pledged or all delegates during or by the end of primary season, then superdelegates are barred from the first round and allowed in to vote in the second round to break the stalemate. The route differs from the URC proposal for reducing the role of superdelegates in the presidential nomination process, but the RBC plan -- third way plus -- arrives at a similar end. There were additional tangential recommendations made around the edges concerning automatic delegates. Under current rules, unpledged delegates are barred from seeking pledged delegate slots. However, the third way plus proposal gave the RBC reason to revisit that; to lift that prohibition, allowing automatic delegates a way to participate in the first ballot vote. To do that, an amendment adopted during the July 11 RBC meeting, would force any automatic delegate taking a pledged slot to give up their automatic status. While that may seem like a backdoor to superdelegate participation -- and it technically is -- this is a point that came up during the URC meetings in 2017. The conclusion then among some members was if automatic delegates are willing to forego their automatic status, then they can run for pledged slots. Collectively, the URC is likely to green light these changes given that they exceed the two more complicated, less workable recommendations on unpledged delegates. In the areas of caucuses and primaries, most of those recommendations were consolidated into some changes to the requirements and encouragements from the national party to state parties in Rule 2. Those recommended changes drafted by member Frank Leone were adopted during the May 8 RBC meeting. These too are likely to pass muster with the URC in whole or in part. This series of requirements more functionally embeds the recommendations in the delegate selection rules. The URC meets via conference call starting at 2pm on Tuesday, July 17. 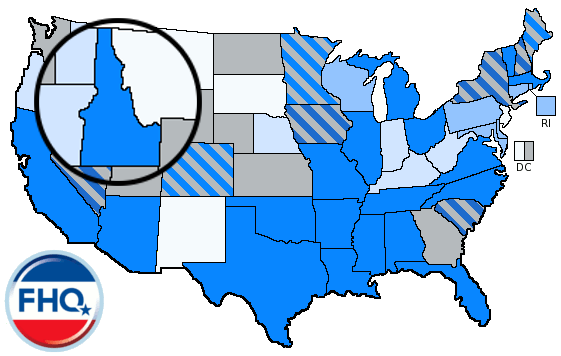 Idaho Democrats will switch to a presidential primary, rather than a caucus, for the next presidential election in 2020. The party announced the change during its state party convention Saturday at the College of Idaho in Caldwell. “We’re looking to move to a system that we have a primary, so that everybody can vote,” said Van Beechler, the party’s first vice chair. 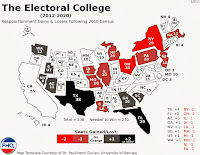 And it is exactly that "pretty unwieldy" part that has been a common bond among those states that have either moved to primaries or have signaled that such a move was on the way for the 2020 cycle. Colorado, Maine, and Minnesota all made the change in 2016, the legislature in Utah added funding for a presidential primary to the budget, and Democrats in Nebraska and Washington have both voted on or voiced support for a transition from caucuses to a primary. In each case, the administrative and financial burdens to the state parties were raised in the argument for a switch to a primary. Participation was up enough in caucus states across the board to nudge up administrative snafus and with it, the attendant disgruntlement with the process from those who were able to withstand long lines and longer meetings. Idaho was no exception to this trend. But then, even with a state-funded option available to the state Democratic Party, the organization stuck with the caucuses for 2016. Much of that decision has to do with the on-again off-again nature of the presidential primary in the state. The state Republican Party opted for early March caucuses for the 2012 cycle in 2011, and Republicans in control of the Gem state legislature followed that by eliminating the presidential primary option in 2012. Idaho Republicans reversed course for 2016. The party passed a resolution to trade in the once-utilized caucus system for a primary in February 2015, and then the Republican-controlled legislature passed legislation to re-establish the primary in spring 2015. This left Idaho Democrats little time to adapt while devising a delegate selection plan due to the Democratic National Committee by the early parts of May 2015. But even with that excuse, Idaho Democrats have never had a post-reform relationship with the presidential primary that has been on the books in the state. The historical reasons have been twofold. First, the primary was always scheduled late, often after many presidential nomination races had been resolved. But second, the primary was always open, which the parties at state and national levels have tended to resist. Those historical reasons for opting into the caucus system despite a state-funded primary option are now gone in Idaho. When state Republicans re-established the primary in 2015, it was scheduled for March (earlier in the process than had traditionally been the case) and gave the state parties the option of allowing unaffiliated voters to participate in the primary. And with that, add Idaho to list of states moving toward primaries for 2020. At each voting stage along the way to superdelegate rules reform for the 2020 cycle, the final tally has seemingly demonstrated consensus. And there has been consensus on the Unity Reform Commission and now during the Rules and Bylaws Committee consideration of changes. But it has been hard-won consensus often following multiple hours-long meetings over the last 13 months spent exploring various contingencies in the hopes of avoiding some unintended consequence while also planning for the future. Like the Unity Reform Commission before it, the Rules and Bylaws Committee gave the go-ahead today to a reform proposal to curb the influence of superdelegates with just a couple of dissenting votes (27 ayes, 1 nay, 1 abstention). However, unlike the URC, the RBC called an audible and devised an alternate proposal not prescribed it in the preceding step. The URC was given strict guidelines on superdelegates by the 2016 convention resolution that created the group. What the resolution called for, the URC produced. Two variations on the same concept were created to move 60 percent of the superdelegates from the unpledged to bound category. The issue that quickly emerged once those two URC recommendations -- the pooled vote option and the alternate vote option -- transitioned to the RBC for its consideration was the complexity of both implementing and explaining either option. The desire on the group to balance doing something on superdelegates, staying true to the charge of the convention resolution (reducing the influence of superdelegates), and devising a more parsimonious reform laid the groundwork for what the RBC passed today. At the confluence of those three criteria, the third way proposal first raised at the first of two March RBC meetings would remove superdelegates from the nomination equation on the first ballot presidential nomination vote at the convention. Should that vote prove inconclusive, then the less-super delegates -- now probably better referred to as automatic delegates -- would be able to participate in a second ballot to rectify an unresolved first ballot vote. But that proposal was augmented at the June meeting in Providence. RBC member, Ken Martin, offered a friendly amendment, leaving an opt-in for superdelegate participation in the event that primary season has produced a conclusive result, a presumptive nominee with the requisite number of delegates to claim the nomination. During today's conference call meeting, the RBC quickly dispatched with the two URC proposals for the same issues of complexity before the group turned its sights to Martin's third way plus, brought forth on a motion from longtime RBC member, Elaine Kamarck. The group then spent the next two hours attempting lay out/iron out the details of the plan. What they passed is intended to curb the influence of superdelegates by conditionally removing the unpledged delegates from first ballot at the convention. The conditions of those contingencies for superdelegate participation fall into three categories. Importantly, the first contingency allows a candidate to win without superdelegates, while the second deprives superdelegates through a supermajority requirement the ability to overturn the pledged delegate majority scenario in the first contingency. The language of the motion passed today will be tinkered with between now a July 11 meeting in Washington to finalize the language of the call, delegate selection rules, and bylaws/charter changes. But this test vote of sorts portends easy passage when the official language of the third way plus reform comes up for a final vote. Yes, there is much more to be said about this proposal -- FHQ raised a few issues just recently -- but there will be time to discuss that more in the days ahead. For now, it is sufficient that there is a specific proposal to reform the superdelegates' influence in the nomination process that has passed initial muster with the RBC. Roll call being called on #DNCRBC conference call meeting. Finalizing superdelegates recommendations is on the agenda. I'm going to try to resist World Cup references during this thread. We shall see how that goes. #DNCRBC member Kamarck makes motion on third way plus. Superdelegates would be on the sideline on the 1st ballot unless a candidate wins outright during primary season (meaning a majority of *all* delegates). The Rules and Bylaws Committee (RBC) once again took up the issue of superdelegates and 2020 at its recent meeting in Providence (the one on June 8 that ran concurrent with the DNC Executive Committee meeting). On some level, one could argue that battle lines were drawn. However, it was yet another incremental push toward an altered treatment of the fraction of Democratic national convention delegates who have been unpledged in past cycles. Much of the work of the previous four 2018 meetings of the RBC have centered on the two plans that emerged from the Unity Reform Commission report. But both the complexity of those two reform proposals and the fact that the changes required to implement either of them would require an amendment to the charter of the Democratic Party -- and thus a two-thirds supermajority vote of the full DNC -- set the bar for passage quite high. As those plans have lost steam another gained traction. First raised at the first of two March RBC meetings, the plan now dubbed the Third Way would make the first vote on the presidential nomination at the national convention one tabulated based on the votes of just the pledged delegates; removing the automatic, unpledged delegates -- superdelegates -- from the initial equation. That simpler approach would also prove easier to implement on the front end. Only a simple majority of the DNC would be necessary to shepherd the reform over the finish line. It is that combination of factors that has, at least in part, won the Third Way option the backing of DNC chair Tom Perez. But in the back and forth in Providence among RBC members over how the national convention roll call vote would be designed and handled under a Third Way scenario, there was some resistance to prohibiting superdelegate participation on the first ballot presidential nomination vote. FHQ will save a discussion of the bulk of that series of exchanges for another post. For now, I want to focus on one specific counterproposal -- friendly amendment -- to the Third Way: Minnesota Democratic-Farmer-Labor Party chair and Association of State Democratic Chairs (ASDC) chief, Ken Martin's Third Way Plus. The rationale behind Martin's proposal is to add a caveat to the Third Way plan; an exemption of sorts. If the pledged delegate count at the end of primary season is conclusive -- there is a clear winner -- then there is no need to prohibit superdelegate participation in the first ballot presidential nomination vote. If those unpledged delegates cannot overturn the will of the voters, as the charge against superdelegates often goes, then there is no need to bar them. In effect, that would make the final tally -- the final delegate count -- an actionable datapoint; an opt-in for the party in terms of superdelegate participation in the initial round. Either a candidate will have accrued a conclusive level of pledged delegates by the second Tuesday in June or they will have not. Although the caveat is a potentially helpful bridge to those on the RBC and within the DNC opposed to stripping superdelegates of their vote in the first round, the real import in Martin's proposal is in the trigger mechanism. But it is a flawed mechanism. It is flawed because it is potentially built on wishful thinking. Wishful in that the process will work the way it normally does. Candidates will run. Candidates will withdraw from the race as wins and losses are tabulated and delegates won. And all of them but one will drop out as the war of attrition plays out and/or once one candidate wins 50 percent plus one of the requisite number of delegates. And that may happen. But it also may not. The scenario that has often been spoken about is one where a large field of 2020 Democratic candidates winnows slowly enough under proportional allocation rules to keep some candidate from a majority of delegates before the convention. Under that set of circumstances, the plus in Third Way Plus is left unactivated and the party ends up with one of two options. On the one hand, there is some maneuvering among the party, the candidates, and their pledged delegates/delegations ahead of the convention that gets a candidate to a simple majority level of support. Alternatively, that first vote is devalued as the convention approaches. The second vote -- the one with superdelegates -- then, becomes the "real" vote. The convention goes through the motions on the first vote, it stalemates in a manner that reflects the end-of-primary-season delegate count, and the superdelegates are added to the equation on the second vote to resolve the nomination. One could hypothesize that the former is more likely the closer the plurality primary season winner is to the 50 percent plus one mark in the delegate count while the odds of the latter increase the smaller the share of delegates the plurality winner has. Neither route is what one would consider "clean". Then again, any path taken in a sequential nomination system offers up its own quirks, roadblocks, and problems. But this is a quirk, a roadblock, a problem, or a scenario for which the RBC is not exactly planning. And look, it is easy for someone outside the process to critique the efforts of rules makers. Those rules makers -- regardless of party -- have to weigh not only the future but account for the past, and particularly the pressures from parts of the broader party coalition to right the wrongs, real or perceived, of past cycles. Often those goals do not match; do not mesh well. For Democrats in the current context to plan for 2020, they have to address lingering issues from 2016. And while relevant in the context of 2016, those issues -- superdelegates or otherwise -- may not matter in the same way during and through the next iteration of the nomination system. None of this is to suggest that superdelegates do not represent a real or perceived problem. However, it requires of the RBC a fair amount of balancing across a number of different dimensions, not just the 2016 versus 2020 one. But how well does the Third Way or the amended Third Way Plus even -- partially or completely -- resolve the superdelegate-related issues leftover from 2016? That is worth exploring. Neither plan gets rid of superdelegates. Nor, in fact, did either of the two proposals that emerged from the Unity Reform Commission (URC). The Third Way options reduce the influence of superdelegates by removing them from the first round of nomination voting at the convention (or in the case of the Plus, only if primary season was inconclusive). The two URC plans allowed superdelegates to retain their automatic status (They would remain delegates; delegates with their positions reserved rather than those that have to run for delegate positions. ), but sought to bind 60 percent of those automatic delegates to candidates based on the results of primaries and caucuses. Neither plan completely prevents the controversial type of early influence superdelegates had in 2016. That ability of superdelegates to endorse early remains intact. That act -- an endorsement -- just would not count towards an evolving delegate count. Or would it? It is hard to imagine a situation where those votes are not counted even with an asterisk. "Candidate X has the support of Congressperson Y. Congressperson Y's vote at the convention may or may not matter, but Candidate X has that vote in hand if it does." And with or without that sort of secondary delegate count, patterns of these types of endorsements are bound to be reported. "Members of Congress and governors are flocking to Candidate X and none of the others." There are signals -- there is influence -- in that sort of activity under even a Third Way structure. While "doing nothing is not an option," this particular something does not exactly address the two biggest complaints/desires coming out of 2016 (nor some of the scenario-specific issues described above). One approach may be to wed the past with the future. Attempts to balance an infrastructural element of the Democratic delegate selection process almost demands that. First, the future. Ken Martin's plus is a novel idea. But its value is in turning the final delegate count into an actionable point in the process and less about the trigger. To repeat, none of these plans call for the elimination of superdelegates, and that is a nod to them being a load-bearing part of the overall delegate selection process. Eliminating superdelegates means fewer delegate slots and more competition for those spots (potentially/likely more among/between rank-and-file members and elected officials). Changing that would have a cascading effect on other elements of the delegate selection process. If one acknowledges, then, that superdelegates are not going anywhere, then how does the party deal with their influence? One component is nestled in Martin's trigger. Not the trigger itself, but in the cutoff; the end of primary season delegate count. That data can be determinative in terms of the superdelegates. Either a candidate has a conclusive number of delegates to claim the nomination or said candidate does not. If one candidate has met the threshold, then the superdelegates can participate as they could not overturn the will of the primary voters. That is the plus mechanism in Martin's Third Way Plus; the no harm, no foul outcome. However, the alternative outcome is an inconclusive primary season. That is a scenario in which superdelegates may be needed to break the stalemate. A convention vote is not needed to accomplish that when the result is already known. Moreover, why potentially take that tiebreaker into a convention setting? It would be a wide departure from what conventions have evolved to in the modern era: a kickoff to the general election. Now, at this point one may ask, "Well, is this not just a way to keep superdelegates involved in the process?" It does resemble the status quo. That is why it is necessary to couple with the end of primary season delegate count with an element from the superdelegates past. When the superdelegates concept was rolled out for 1984, there were a set number of slots set aside. There were 400 apportioned to the state parties to dole out. Additionally, state party chairs and vice chairs were granted automatic spots and 60 percent of the members of Congress (the latter of which were selected by the House Democratic Caucus and the Senate Democratic Conference). One problem that arose during that initial run was that the congressional superdelegate selection happened prior to the first round of contests. That was viewed at the time -- mainly because there was a near-consolidation of congressional support behind one candidate, Walter Mondale -- as an unofficial first primary; one that provided undue influence on the nomination. This came up in the rules discussions after 1984, and, in fact, affected the 1988 rules. The process of determining who the superdelegates were was streamlined. The who part was specified, getting away from the process of state parties tagging folks as unpledged. Instead, DNC members from the states were granted superdelegate status in addition to officeholders like governors and big city mayors. Additionally, the percentage of members of Congress was increased from 60 percent to 80 percent. Both these moves upped the number of superdelegates for 1988 as compared to the previous cycle. However, one corrective action the 1985 Fairness Commission -- the corollary to today's Unity Reform Commission -- helped produce was a change in the time period in which congressional superdelegates would be chosen. Rather than having that selection process happen before Iowa and New Hampshire, the process was pushed back to late April and early May. And the intent was reduce the influence of the most high-profile superdelegates. That late selection period and the fact that only 80 percent of the Democratic members of Congress were selected combined to limit superdelegate influence. Sure, Democratic members of Congress could endorse but the impact is muted if it is unknown (to the public) whether that vote would be cast in any meaningful way at the convention. And that was something that was consistent with the Hunt Commission report/recommendations. That 1982 commission sought to get Democratic members of Congress back involved in the convention, the potential deliberations around the presidential nomination, and weighing in (if needed) at the convention. The changes instituted for 1988 accomplished that (although Dukakis was the presumptive nominee well before the convention). The superdelegate system -- indeed, the nomination system -- evolved from that point, and by the 1996 cycle, the "randomness" of which Democratic members of Congress would be involved was eliminated. With all Democratic members of Congress involved thereafter, the "selection" process became frontloaded (or at the very least the decision to weigh in early was left to the discretion of the most high-profile of superdelegates and on the individual level). It was that change over time that left the Democratic system vulnerable to charges of undue and early superdelegate influence under circumstances like 2016 (where there was a consolidation of superdelegate support behind one candidate). Bringing back some of that "randomness" to the process and pushing the "selection" of congressional superdelegates to the end of primary season when pledged delegate count is complete would help mitigate the influence. It does not get rid of superdelegates -- that has not been on the table -- but it would reduce their influence. And that was the main complaint during and following 2016. Look, this is not going to be implemented. It is too late in the rules process for that (although this is similar in some respects to the plan discussed by former DNC chair, Don Fowler, at the Providence meeting). But by combining elements of the future and past, the influence of superdelegates could be reduced without either some of the problems in Third Way or removing superdelegates from a scenario where their ability to break a primary season stalemate is needed. But the complications of juggling the needs of a cycle yet to come with the leftovers a cycle just past often yield unintended consequences. That is the nature of making nomination rules in diverse party coalitions. Nebraska Democrats are weighing whether to scrap their decade-old practice of holding presidential caucuses. 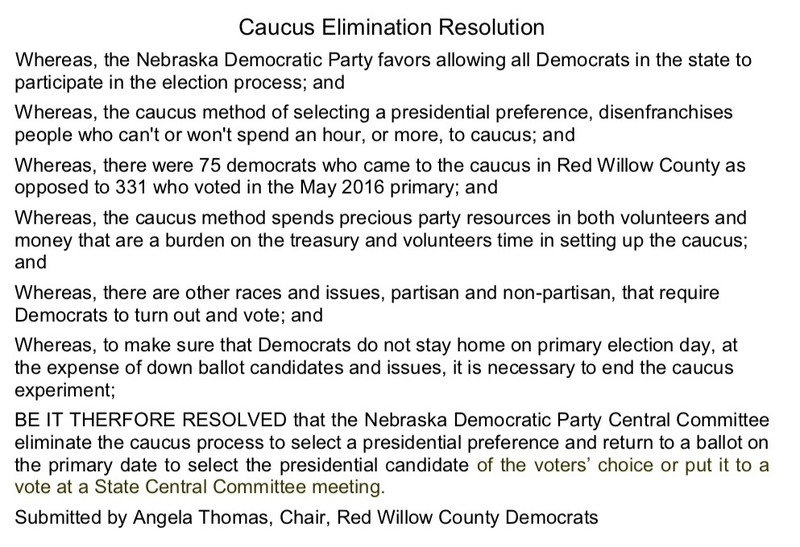 The Nebraska Democratic Party’s platform committee voted with no dissent Friday at Southeast Community College to advance a resolution calling for the elimination of presidential caucuses before the 2020 election. When the resolution was introduced, there were cheers from the group, and several people exclaimed that they dislike the caucuses. The unanimously passed resolution to abandon the caucuses for a primary to allocate national convention delegates will now go before the state convention. Win or lose there, the decision will likely not be finalized by the state central committee until 2019 after the Democratic National Committee has set its rules for delegate selection for the 2020 cycle. North Carolina governor, Roy Cooper (D), made quick work of SB 655. The bill came to the Tar Heel state chief executive on June 14 and was signed today (June 22). The bill untethers the North Carolina presidential primary from carve-out South Carolina and schedules a consolidated primary -- presidential and state/local offices -- for the first Tuesday after the first Monday in March. 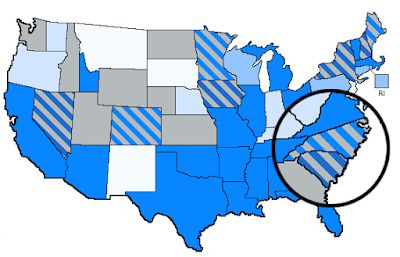 North Carolina now joins California as the only two states to have officially moved up (and to the same earliest allowed date) on the 2020 presidential primary calendar. 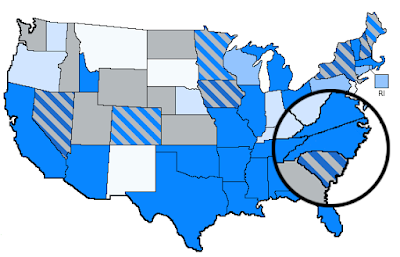 The Tar Heel state also shifts up the allocation of its delegates to coincide with a number of its neighbors; mainly the leftovers from the 2016 SEC primary. Importantly, the change represents a shift of another large group of delegates toward the beginning of the 2020 primary calendar. The 2020 calendar is not 2008 yet, but it is moving in that direction. ...and before the most intense period for primary movement in any cycle: the year before a presidential election year. 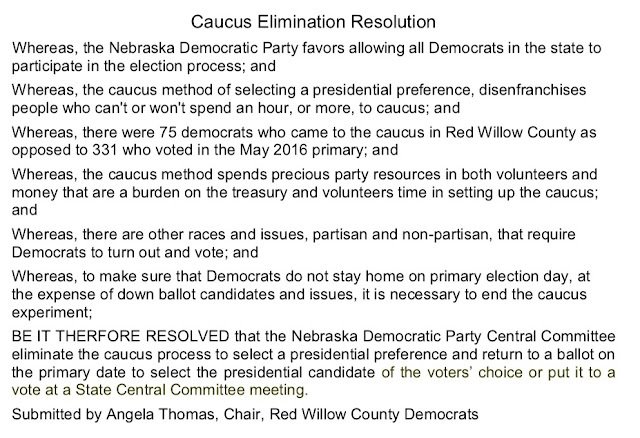 Citing party resources stretched too thin and depressed primary turnout, the Nebraska Democratic Party is considering abandoning its caucuses for a primary to allocate national convention delegates in 2020. 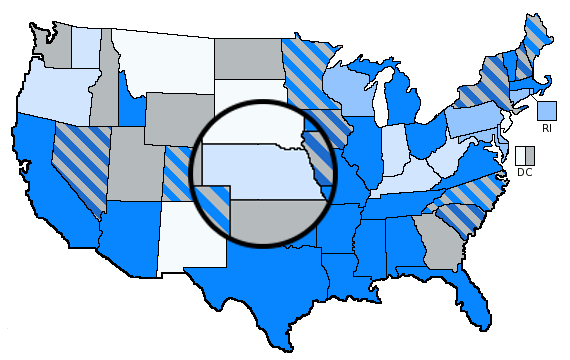 Prompted by the promise of an earlier voice in the presidential nomination process and no clear hope of a legislative move to shift up the primary in the Cornhusker state, Nebraska Democrats in 2007 first established a (then-compliant) February caucus/convention system for allocating national convention delegates in 2008. And while the move has driven grassroots enthusiasm and drawn candidate attention over the last three cycles in a way that a May primary may not have, the caucus/convention process has diverted party resources (around $150,000) that could otherwise have been spent winning elected offices further down the ballot. The process of creating that separate caucus has also had implications for the May primary. First, the switch to a caucus rendered the presidential contest on the May primary ballot a beauty contest, meaningless to the allocation of delegates to the national convention. With the allocation decided, there was far less interest in the primary and has yielded lower turnout in primary elections for state and local offices. And that is not all that uncommon for states with later and consolidated primaries combining presidential preference and a vote for nominations to down ballot positions. States that opt to create a new and separate presidential primary earlier in the calendar leave behind later primaries for other offices. Those primaries, asking voters to return to the polls again in a relatively short window of time, tend to see far lower participation. Nebraska Democrats have apparently felt those pressures and are open to a return to the primary in 2020. The preference seems to be for an earlier primary, but state party chair (and Unity Reform Commission member), Jane Kleeb has also indicated that even a May primary may work given the outlook for 2020 (a big field of candidates). Democrats have not exactly balked at a primary date change in the non-partisan Nebraska Unicam, but efforts to shift the contest into April (in 2014) or March (in 2016 and 2018) have all fallen flat in recent years. It is unclear whether Republican aligned legislators will be receptive to a date change in a cycle in which Republicans may not see a contested presidential nomination race. One thing is clear: In the wake of 2016, caucuses are under scrutiny at almost all levels of the Democratic Party. Yes, the Unity Reform Commission made some recommendations regarding caucuses, but independent of that push, a handful of states have already made the caucus-to-primary switch. Colorado, Maine, and Minnesota all made the change in 2016 and Utah laid the groundwork for a primary option (by funding the election) in 2017. The number of caucus states looks to contract substantially with or without a Nebraska shift. After over a year on the back burner, legislation to solidify the date of the North Carolina presidential was resurrected by the state Senate on June 12. SB 655 unanimously passed the Senate in April 2017, but was amended and passed with more resistance last June by the state House. It was upon its return to the Senate that SB 655 lost momentum, stalling based on a seemingly noncontroversial change. The difference between the Senate-passed version and the House-amended version? A change in the date on which the legislation would take effect if/once signed into law. The original bill called for the date change to take effect on the signature of the governor. However, the House version would have delayed that until January 2019. Basically, the House amendment had the effect of exempting the 2018 midterm primaries, keeping that round of elections in May and pushing all primaries in subsequent cycles -- presidential and midterm -- to March. Again, that was a minor difference. And while it was enough to stall the legislation in 2017, the passage of time made any difference across legislative chambers over the effective date moot. Now that the May 2018 primaries have come and gone in the Tar Heel state, the Senate resisting a January 2019 effective date became unnecessary. And that is what led to the chamber's near-unanimous (41-3) concurrence with the year old, House-amended version of SB 655. That vote sends the measure to Governor Roy Cooper (D) for his consideration. This bill is moving on to the next step in the process, then. But what would it accomplish? As FHQ said in the spring of 2017, the change adds certainty. And in this case it is early certainty on the date of the 2020 North Carolina presidential preference primary. That is meaningful compared to how legislators in the Tar Heel state handled the scheduling of the 2016 presidential primary. In 2013, as part of a broader elections measure, the North Carolina presidential primary was uprooted from its traditional May position, consolidated with primaries for other offices, and tethered it to the South Carolina presidential primary. 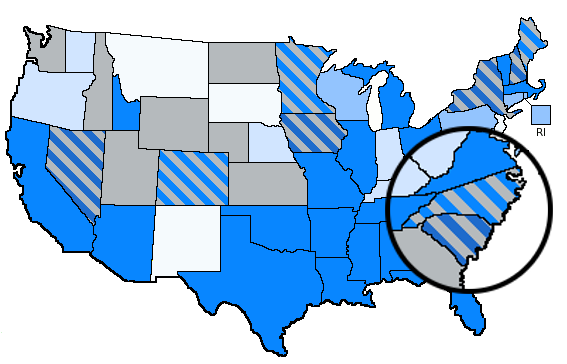 Given South Carolina's protected position among the earliest four primary states and the tendency of the parties in the Palmetto state to settle on primary dates after other states have settled on theirs, it left uncertain where the North Carolina presidential primary would fall on the calendar and if it would end up in violation of the national parties' rules on the timing of presidential primaries and caucuses. Both issues were resolved but not until the late summer of 2015. And the change that was made -- setting the presidential primary for March 15 during the 2016 cycle -- expired at the end of 2016. That meant that North Carolina reverted to the 2013 change at that point; tethered to the South Carolina primary. As long as SB 655 was bottled up in the state Senate, the North Carolina primary date remained uncertain. That continues to be true, but that the legislation has progressed to the gubernatorial consideration stage is at least some evidence that North Carolina is moving toward a quicker, earlier, and permanent resolution to the same 2016-style problems for the 2020 cycle. And considering the level to which the bill passed both chambers, Governor Cooper is unlikely to exercise a veto for fear of an override. It is just a matter of time, then, before North Carolina can be permanently slotted into a first Tuesday after the first Monday in March primary date (for all offices), joining neighbors Tennessee, Virginia, and likely Georgia (and a number of other southern states as well). A tip of the cap to Richard Winger of Ballot Access News for sending news of this along to a vacationing FHQ.